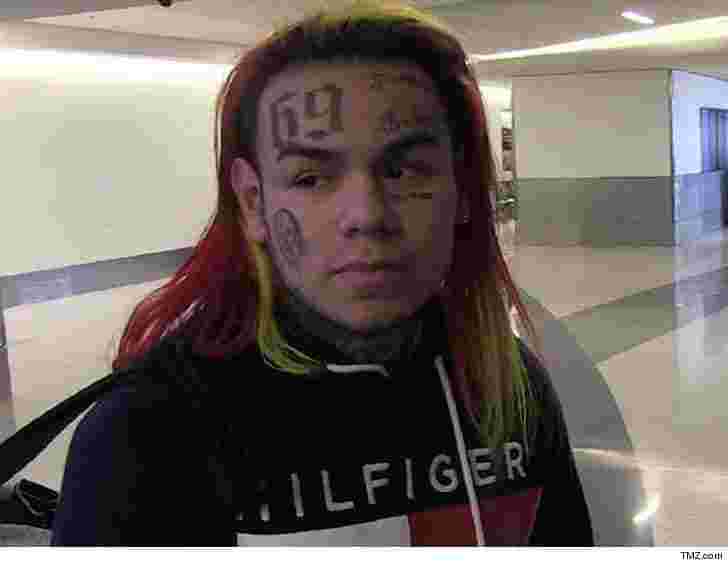 On Sunday, it was reported that Tekashi 69 was taken into custody by federal authorities, with little to no further details shared at the time. However, according to TMZ’s latest report, the rapper along with his former manager and two other former associates were busted on racketeering charges and can possibly face some serious time. Law enforcement tells the news site that 6ix9ine was arrested by ATF agents late Sunday night in NYC and the agents also nabbed his ex-manager, Shottie, at the same time. One of the other suspects arrested was Faheem Walter, who goes by Crippy. He was the same guy who got shot a few weeks ago during the altercation with Tekashi’s record label. Further details of the case involving 6ix9ine will be announced later today at his arraignment in Manhattan federal court. All 4 men are facing racketeering and firearms charges. Law enforcement sources told TMZ that the investigation was a joint effort by ATF, NYPD and Homeland Security. Things aren’t looking good for Tekashi. Socialites, do you think he’ll be able to get out of this situation? Let us know your thoughts on this in the comment box below!